Buzz: The 50th Annual Shipley Shops! In 1961, the world was introduced to the electric toothbrush, the cost of a first class stamp was $.04, Patsy Cline released “Crazy,” Audrey Hepburn starred as Holly Golightly in Breakfast at Tiffany’s, President Kennedy established the Peace Corps, Barbie got a boyfriend named Ken, and across the pond Lady Diana Spencer entered the world. 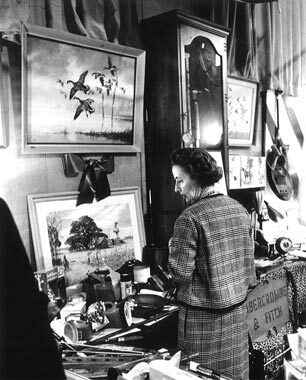 In Bryn Mawr, Pennsylvania that same year, a two-day shopping event created by Shipley alum Zoe V.A. Wells was the beginning of, what is now, one of the Main Line’s most popular traditions. Fifty years later Wells’ progressive concept, The Shipley Shops, has grown from a two-day event featuring 15 local and out-of-town specialty stores to a four-day event with 40 vendors. Before the King of Prussia, Springfield, and Plymouth Meeting Malls, ‘Shops’ was an innovative shopping approach with various vendors all under one roof. The 50th annual Shipley Shops fundraiser will be held October 21-23 at The Shipley School in Bryn Mawr. Gingy’s, an exclusive store in Malvern owned by Shipley alumna Jean Gilpin Tremblay ’75, will treat Shipley Shops with her gorgeous collection of spirited women’s fashion and accessories coupled with unique home décor accent pieces. The Shipley Shops committee members of Courtney Bullitt Daly, Marin Smith, and Larisa Bevan have worked hard to bring together a group of prestigious vendors to satisfy the most discerning shopper and everyone on their holiday shopping lists. The half-century celebration includes many new vendors with Patricia Adams, Adler Grier, Lisi Lerch, Vanessa Fox, Dubarry of Ireland, and many others. “One thing we really strive to do is to bring in a wide variety of wonderful vendors. You won’t find this type of selection in the mall, we have a vigorous selection process to make sure we have a diverse group and something for everyone,” explained Bevan. In addition to great shopping, Shipley Shops 2010 will feature a chance to win a MINI Cooper or $15,000 in cash. Shops will also be a homecoming celebration as all the past chairs, 80 total, are invited to attend. As a group, the chairs consisting of a majority of women and a handful of men from the Shipley community have collectively raised over $2,000,000 for the school. “As the fiftieth celebration, it is our goal to honor all these past chairs for all their hard work, dedication as well as leadership. 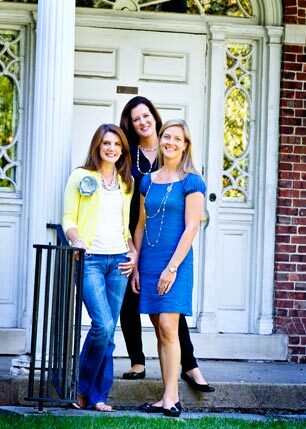 Certainly our current chairs—Courtney, Larisa and Marin, will be in the spotlight. We are privileged to have had all these great women and men lead by example over a half century on behalf of our school. We are very thankful and are excited to carry on the Shipley Shops’ incredible tradition for the next fifty years,” said Moag. Tory Burch, a first-time vendor for all four days at the Shipley Shops, has been hailed as the “most influential designer in America” by the Los Angeles Times. Tory Burch, a first-time vendor for all four days at the Shipley Shops, has been hailed as the “most influential designer in America” by the Los Angeles Times and was recently voted “Best Hometown Fashion Statement” by Main Line Today Magazine. Bryn Mawr designer, Vanessa Fox, is also making her debut at Shops. Vanessa was a well-known bridesmaid dress designer in Manhattan before moving to Bryn Mawr, where she produces two clothing lines annually and creates custom designs for her Main Line customers. A Shops favorite, aBCdesign sells unique and personalized fleece blankets, baby blankets, bibs, and towels. The company’s entrepreneur-owner and designer Betsy Claghorn will feature her college, prep, and personalized blankets at Shipley Shops. Dubarry of Ireland will introduce and demonstrate their durable and fashionable line of all-weather, all-purpose, outdoor footwear and tweed clothing that has been raved about in Europe for years and has made its mark in the US over the past few years. Papierdoll fashion magazine highlighted Shipley Shops newcomer, Gail Toma, in their November 2005 issue as “Feature Designer” and “Thrifty Chic.” Gail Toma makes scarves fabulous again with her gorgeous designs that add the functionality of a poncho, belt, or coverlet. Marlyn Schiff, a Bryn Mawr resident, graced the pages of InStyle, Marie Claire, Real Simple, and Bazaar this summer with her gorgeous jewelry line. Schiff’s trendy designs are top-sellers at boutiques around the country. 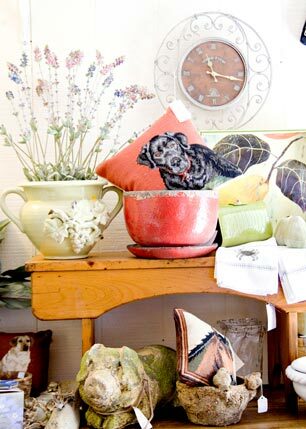 Patricia Adams Gifts, owned by Shipley alumna Jane Saul Kraus ’78, sells cottage-inspired home accessories, as well as colorful and classic personal accessories. In the past 50 years, The Shipley Shops has raised over $2,000,000 for The Shipley School. Shipley alumna Zoe V.A. Wells ’52 chaired the first four years of Shipley Shops and raised over $10,000. Abercrombie & Fitch, FAO Schwartz, Hammacher Schlemmer, Orvis, and Vineyard Vines are among some of the hundreds of vendors that have travelled from across the US to introduce Philadelphia’s elite shoppers to their now leading national brands. Williams Sonoma regretfully declined Shipley Shops in 1980 so they could open their first store on the East Coast in Washington, DC. WHEN: October 21-23rd, 10:00 am – 6:00 pm Thurs. & Fri. PROCEEDS: All proceeds from the event benefit The Shipley School, an independent, coeducational day school in Bryn Mawr, with students from Pre-K through Grade 12. For more information at www.shipleyschool.org/shipleyshops. please contact me about shipley school 2011 shipley shops venue. i would love to participate as a vendor. i am a milliner, designing one-of-a-kind, hand-blocked hats. all original, very dramatic, some classic, special occassion, cocktail and evening, wedding. i have a strong local, loyal customer base and also celebrity base…catherine zeta jones, jennifer lopez, renee zellwegger, kevin bacon to name a few.